In a medium sauce pan, add olive oil and chopped onion. Cook over medium heat until onion starts to brown, add tortilla and garlic. Add cayenne and chili powder along with blueberries. Allow blueberries to start to bubble slightly. Take off heat and add chocolate. In a food processor, add the blueberry mixture using a spatula so as many ingredients as possible get in there. Add pumpkin seeds and process until all the ingredients are formed into a thin paste. Add a little water to get the perfect consistency if necessary and add salt and pepper to taste. 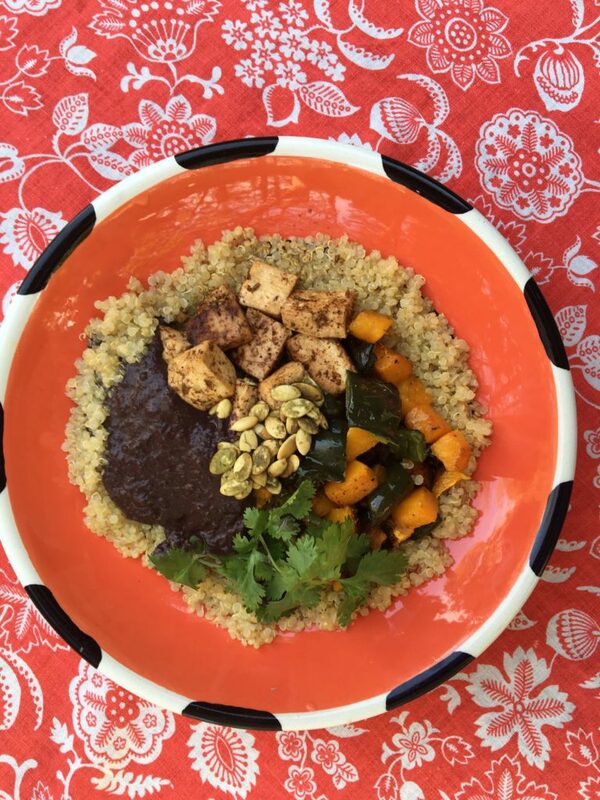 Serve over meat such as chicken, turkey or even red meat or use in vegetarian dishes such as the Wild Blueberry Veggie Bowl.